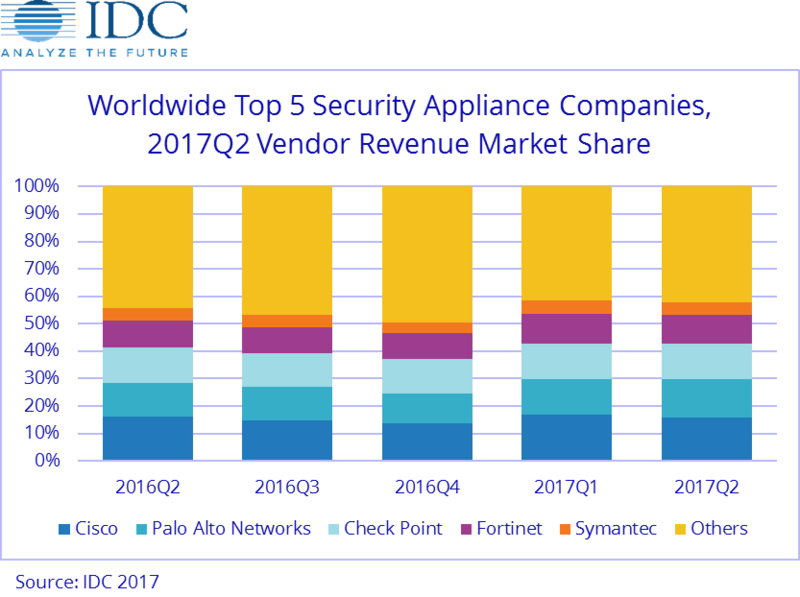 FRAMINGHAM, Mass., September 18, 2017 – According to the International Data Corporation (IDC) Worldwide Quarterly Security Appliance Tracker, the total security appliance market saw positive growth in both vendor revenue and unit shipments for the second quarter of 2017 (2Q17). Worldwide vendor revenues in the second quarter increased 9.2% year over year to $3.0 billion and shipments grew 7.0% year over year to 706,186 units. "Over the last quarter, there has been growth in every region with particularly strong growth in Asia/Pacific. Firewall and UTM continue to be the strongest areas of growth, as those products continue to add security features leveraging and addressing cloud protection." said Robert Ayoub, research director, Security Products at IDC.